The Warner Vineyard Roussanne blend looked great when I tried it a month or so back, and this Chardonnay looked even better again. Well priced too ($33 direct from the producer – warnervineyard.com.au). As with the Roussanne, this comes from the Warner Vineyard in Beechworth, which is also the source for Giaconda’s Shiraz and Gary Mills’ Beechworth wines. Gary made this wine too, and he’s nailed it. I particularly like the sense of delicacy here, even from a warm vintage. Green straw coloured, this has a fine, oak-kissed nose of white flowers and marzipan in a clever, modern yet not overdone style. The fruit barely touches on white peach, but you’d still call it ripe, the palate long, soft, caressing. A kiss from a white rose. Delicious delicacy with enough richness to pull on through. Love the contrast between fine lees/oak milky richness and then the soft, completely natural acidity to finish. This is superb Chardonnay. I took it to a local BYO and with a creamy scallop dish it was a huge win. 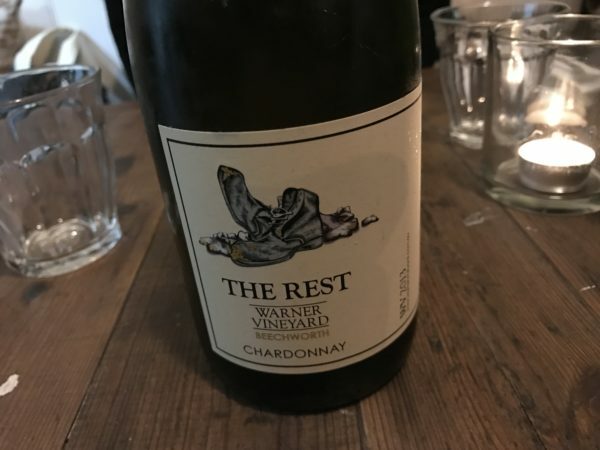 Admittedly I’m a sucker for a finely textured yet taut Chardonnay like this, but I suspect many would be in the same boat. Best drinking: 2016-2019. 18.5/20, 94/100. 13.5%, $33. Would I buy it? Sure would.